Do wildlife photographers use UV illumination when filming coral reef swims? 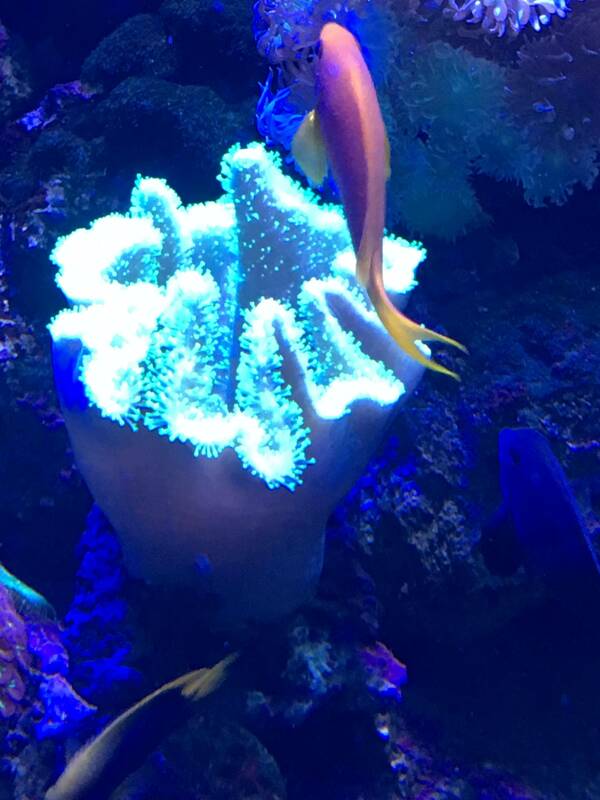 When I watch coral reef nature documentaries, the lighting on the coral reef looks incredible. When I actually swim in Coral Reefs (eg Far North Queensland), what is see is generally green or dark looking. I observed a distinct difference between what I see in the documentary video and what I see during snorkelling in the coral reef. But looking at an illuminated tank at an aquarium looks more similar to the documentary than to actual reef swimming. My question is: Do wildlife photographers use UV illumination when filming coral reef swims? 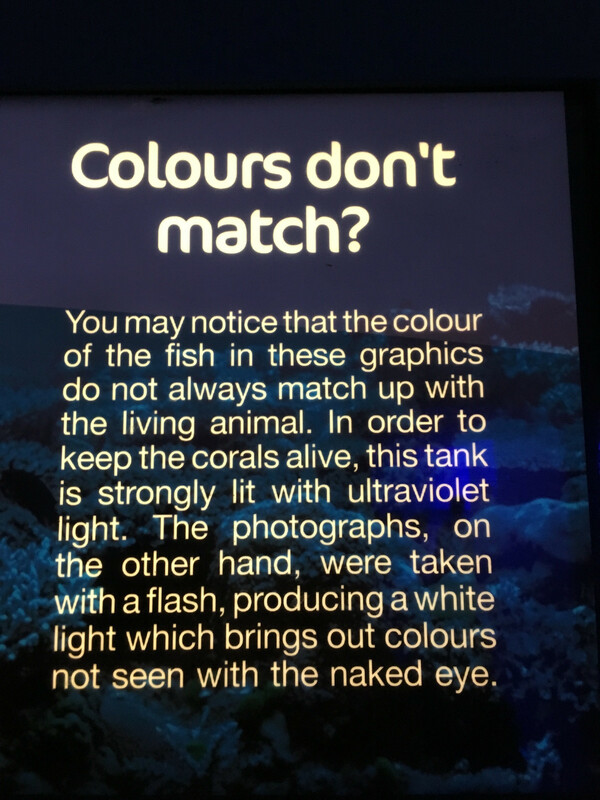 Short answer: No, they use underwater lamps with normal light (maybe more intense light than a normal underwater lighting device) and coloured filters for the lens. Note that I said "coloured filters" without saying what colour the filter should be. This is because the colour of the filter one would use for underwater photography depends on the depth you are at the moment you take the picture (and of course the direction you are keeping the lens. If shooting upwards you will have other lighting conditions compared to shooting straight ahead or downwards). At what depth underwater does color disappear? I would recommend reading some guides on Underwater photography or even taking a class. PADI, at least, has special classes for underwater photo and video. Not the answer you're looking for? Browse other questions tagged wildlife uv underwater or ask your own question. Best and cheapest lenses for wildlife photography? What should be the aperture and ISO while doing wildlife photography in sunlight? Is the camouflage texture of certain wildlife lens covers relevant?